This copiously illustrated, full-colour textbook covers the Junior Certificate course at both Ordinary and Higher Levels. The recently revised edition contains a range of new material, including new diagrams, and provides comprehensive coverage of the course. The book is a market leader because of its thorough yet easy-to-follow approach. • Very well illustrated and in full colour. 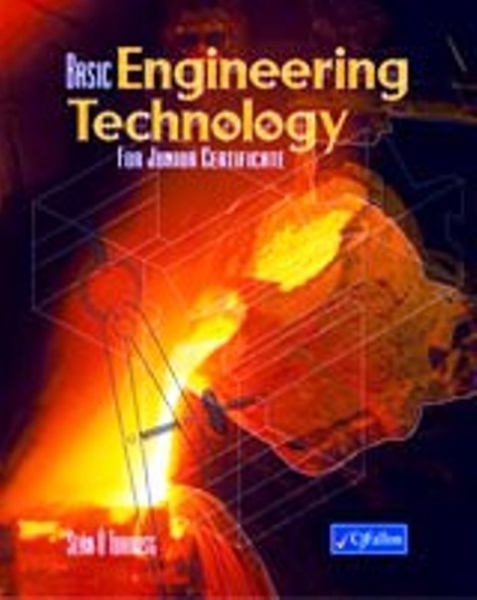 • Provides in-depth coverage of techniques, processes and uses of equipment, thereby helping the development of craft skills – an important aspect of an activity-based technology course. • The widespread use of schematic diagrams makes the material easy to understand and encourages students to use sketches to convey, explain and record information. • Questions at the end of each chapter facilitate the structuring of study and homework, and minimise the need for note-taking. • The order in which the chapters are presented does not have to be followed, but their arrangement can act as a guide in drawing up a scheme of work. • A method of undertaking a design problem is given in Chapter 16. This indicates the activities involved. • Contains a detailed index at the back. • 250 pages in length.